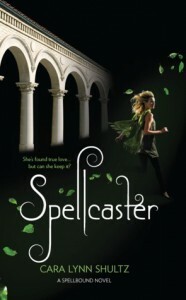 First Impression:About a year ago, I fell in love with the first book in this series, Spellbound. Spellbound was a completely magical book that transported me into another world. Now a year later, I am presented with its sequel. Could. not. wait.While Reading:Here is the thing about loose ends in a first book (of a possible series), sometimes they are wonderful. A little thread of hope that leads you to believe that all the characters which you just fell in love with will be back for more. After the book is over, you fantasize about what could happen next. This pretty much summed up my thoughts after I finished the first book in this series, Spellbound. But... sometimes loose ends, need to be just that... loose ends.As I said, when I first picked up the sequel, I was actually pretty excited. The blurb lead me to believe that I really needed the sequel to feel complete about the story despite any misgivings I had. Spellcaster picks up a few months after Emma and Brendan's epic ordeal in Spellbound. For me, Spellbound finished on a pretty solid note. Emma and Brendan broke the curse. Everything pointing to our happy couple riding off into the sunset together. But as it happens sometimes, fate still has something wicked up its sleeve.I have been debating with myself for days now regarding Spellcaster. One moment, I liked the sequel. Another moment, I just don't see the point of the tale to begin with. The writing was consistent with the first book. So I know that my problem doesn't lie there. Emma and Brendan were pretty much how I remembered them... except for the constant reminders of Brendan's past. Ugh. I think we may have discovered my underlying issue. Brendan, or would it be Emma? Either way, I know that I could have read the book happily without the every other page (it seemed) reminders about either Brendan's attractiveness or history with (so many, many) other girls. As if I ever could have forgotten about Brendan's hotness in the first place. But if I could have, Emma was there to consistently beat the notion into my head, lest I forget. Final Verdict:Despite some mild aggravation, Spellcaster was enjoyable enough. 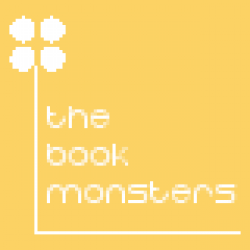 Knowing what I know now, I would like to think I would still pick this book up. But for those who haven't read it yet, I would recommend this sequel cautiously. It is not the worse sequel I have ever read, but you can easily stop at the first book and be pretty satisfied.